The private equity owners of auto repair-center operator Service King Paint & Body LLC are considering a sale of the company, people with knowledge of the matter said. 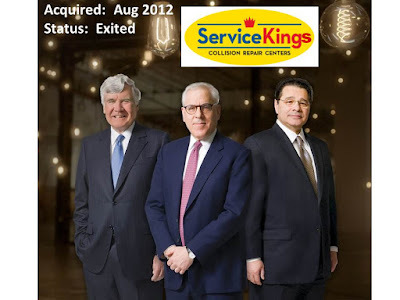 Service King’s owners, Blackstone Group LP and Carlyle Group LP, have had discussions with bankers about starting a sale process this year, said the people, who asked not to be identified because they weren’t authorized to speak publicly. The company could fetch more than $2 billion, the people said. 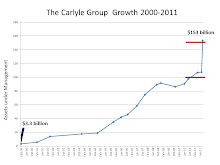 Carlyle invested in Service King in 2012 when the company had a mere 49 Texas locations. Blackstone bought into the company in 2014 but Bloomberg couldn't find the purchase price. The new ratings are in conjunction with Service King's agreement to sell a roughly 55% stake in itself to affiliates of Blackstone. Blackstone Group LP has agreed to buy a majority stake in auto-repair shop chain Service King Collision Repair Centers from Carlyle Group LP with a view to fund the company's future growth, according to people familiar with the matter. The deal values Service King at about $650 million, one of the people said. The Ba3 ratings assigned to the proposed $100 million secured revolver, $355 million senior secured term loan, and $40 million senior secured delayed draw term loan reflect their senior position in the capital structure, as well as the cushion provided by the proposed $200 million senior unsecured notes, which are rated Caa1. That ballooned to $1.1 billion as of August 2016. At those debt levels Service King had 299 locations in 23 states. Time will tell if Bloomberg's article stirs up buyout interest in Service King.